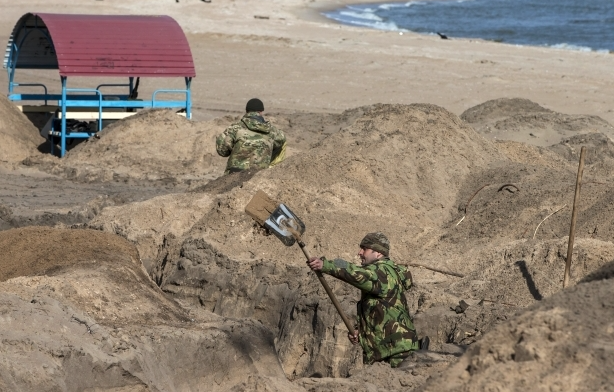 Photographs that show how Ukrainian servicemen dig trenches on the shore of the Azov Sea in Mariupol have surfaced on the web. As previously reported by UNIAN, Ukrainian President Petro Poroshenko announced on March 14 that every region should contribute to the construction of fortifications. Poroshenko stressed the importance of building an effective line of defense. “Based on our experience, as well as the best examples of fortification projects, dugouts, and location reference points, we need to build a highly efficient, deep echelon defense in record time,” said Poroshenko. 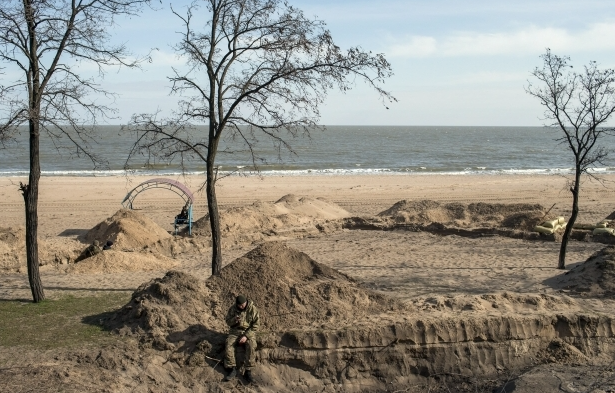 On March 19, the Deputy Prime Minister of Ukraine – the Minister of Regional Development, Construction, Housing and Utilities of Ukraine Gennadiy Zubko emphasized that the construction of fortifications in eastern Ukraine is to be completed by mid-May. 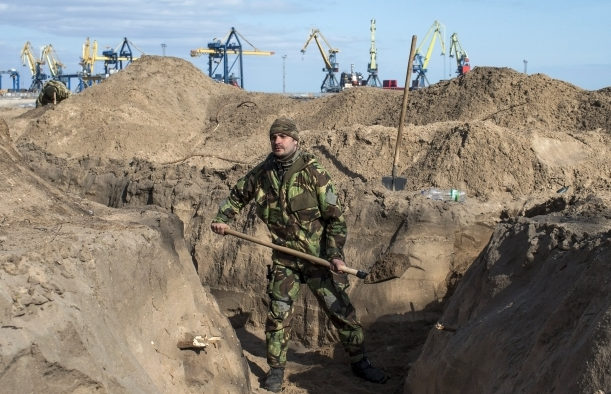 “We have very limited time for this work – we must build all fortifications until mid-May. The situation is tense, and we must combine not just the efforts of the military and regional administrations, but the efforts of all Ukrainian citizens to address the problem,” Zubko stated. This entry was posted in English, English News, Pictures, South&Eastern Ukraine and tagged #RussiaInvadedUkraine, #StopRussianAggression, #UkraineUnderAttack, Mariupol, Poroshenko, Ukraine. Bookmark the permalink.